It comes from a communication from Jalapeño Schwartz to Voni Glaves about the value of having websites like Familias de Terlingua and Life Before the Ruins in revealing the life of Old Terlingua that the silent stones keep secret. We felt flattered. Involved in all aspects of music, he has been seen and heard at the Starlight Theater in Terlingua -- the Ghost Town. 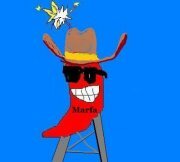 And every Monday evening he can be heard as the DJ of the 7:30-9pm Blues Monday show at Marfa Public Radio KRTS 93.5. Oh, and by the way, there are rumors that he is also a Doctor of Osteopathic Medicine often seen at the Marfa Clinic. The author, Darla McBryde, and her husband rode into the caldera of an ancient volcano in the Big Bend Ranch State Park known es El Solitario. She was so awed by its beauty she had to write about it. 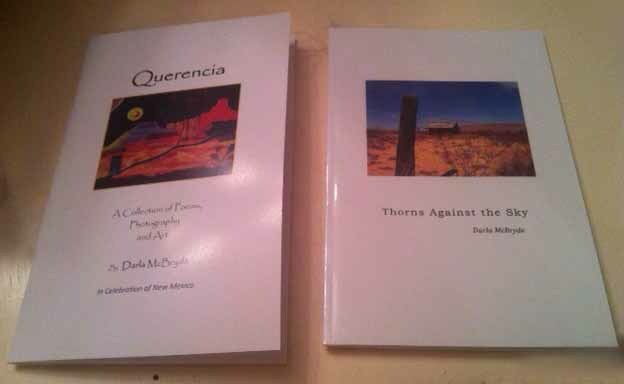 The readers will notice the richness of language that reflect how taken she was by El Solitario. Her fresh and very apt comparisons are complex yet appear simple. They are very powerful, and give the reader a great delight. Beware, her words will overflow her awe into your mind. 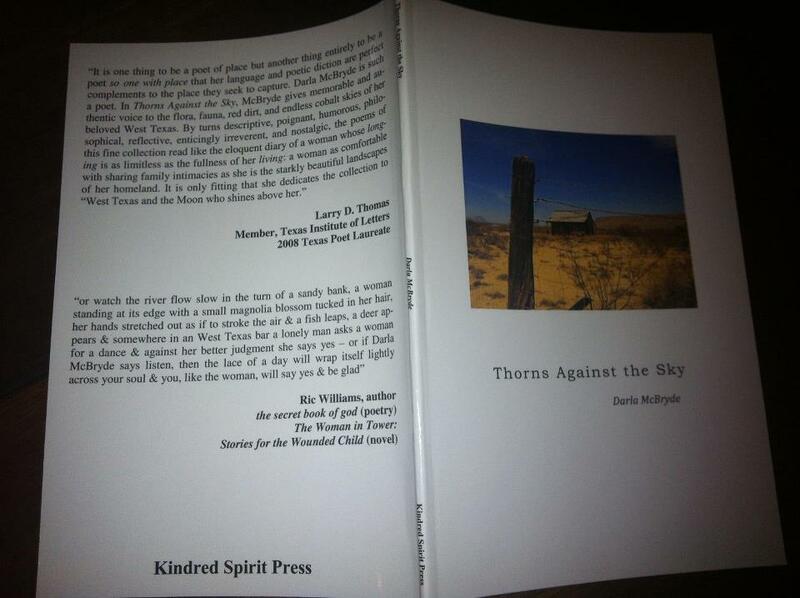 Darla McBryde was born in Monahans, Texas, and currently resides in Houston, surviving the city by taking road trips to lands and sky and earth. 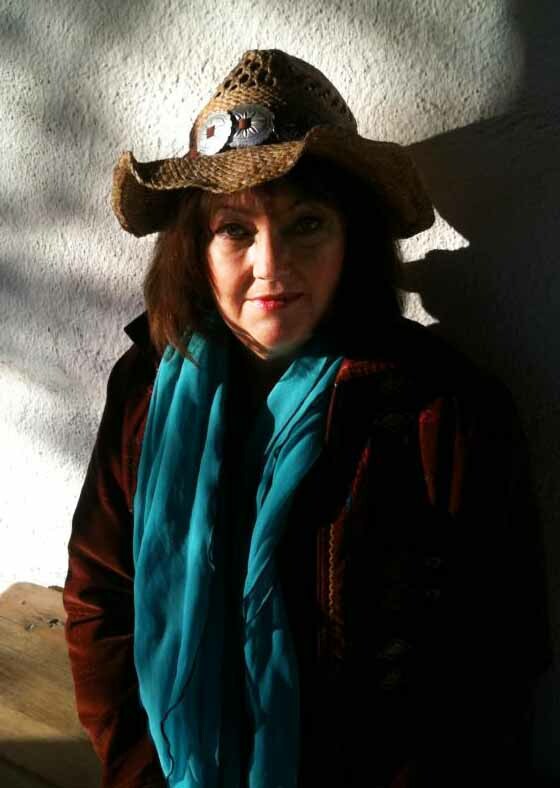 In the last century, she was a board member of the Austin International Poetry Festival, has been a featured reader in numerous venues around Texas, hosted poetry open mics and produced a series spotlighting local poets for Austin Access TV. She was recently interviewed and filmed by Ric Williams for the Texas Nafas poetry program that airs on The Austin Channel. Her credits include the 2013 Texas Poetry Calendar, Illya's Honey, Cenizo Journal, Big River Poetry Review, Gutter Eloquence, Crack the Spine, the Austin Chronicle, AIPF's DiVerseCity Anthology. 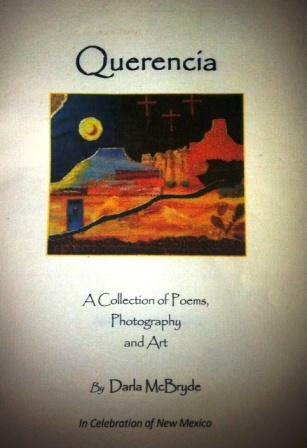 A couple of her poems are included in the 200 New Mexico Poems Anthology, an official part of New Mexico's Statehood Centennial Celebration. She is a member of the Gulf Coast Poets, The Permian Basin Poetry Society, and the Austin Poetry Society. About the Poem: El Día de los Muertos (Day of the Dead) is celebrated in Terlingua by the current residents so it is fitting to include it in our Poetry page. Darla McBryde wrote this poem in 2010. It was presented in Birmingham Alabama in a celebration for El Día de los Muertos. Craig Legg, a prominent poet and artist in the Birmingham area and co-founder of the celebration, liked the poem and included it in his design of the poster for the celebration. An image of this poster is displayed with the poem. The other image, "Calavera Catrina," is the iconic1910 zinc etching by Mexican lithographer José Guadalupe Posada. Posada created the genre of "calavera" art. "Calavera" is the Spanish word for skull and, by extension, for skeleton. "Catrina" means elegantly well-dressed and so stands for the rich and powerful. José Guadalupe Posada created etchings for newspapers satirizing the rich and powerful by drawing them as skeletons carrying on in their outrageous plutocratic behavior. 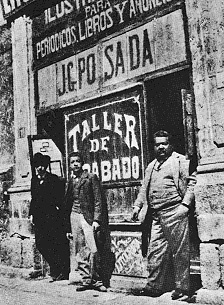 Although he died penniless in 1913, in the 1920's the French artist Jean Charlot wrote about him and Posada gained posthumous world wide recognition. His etchings/prints influenced that art form world wide. He was known for the characters he created: la Catrina, and La Calaca. His work especially influenced the later Mexican masters such as Diego Rivera and José Clemente Orozco. Today the main award of the Encuentro Internacional de Caricatura e Historieta (International Cartoon and Comic Convention) is called "The Catrina". In Mexico the Catholic Church's traditions of All Saints Day on the 1st. of November followed by All Souls Day on the 2nd. of November merged with the indigenous traditions which themselves had borrowed and merged from local cultures, most prominently the Mexica and Aztecs. The Aztecs had a celebration for their dead ancestors that lasted for about a month from July into mid August. So they also honored the "Lady of the Dead," Mictecacihuatl, who was the queen of the underworld (Mictlan). The idea they had was not to mourn but to celebrate the dead. In 1978 in Mexico City at a corner of the main square, el Zócalo, utility workers discovered the remains of the Aztecs' Templo Mayor. today you can go there and see the temple excavation and see the rack of skulls carved in stone around the area honoring The Lady of the Dead. The skulls on the rack look just like the skulls made of sugar that evolved in Mexico from their indeginous traditions combined with the Catholic traditions to honor the dead on El Día de los Muertos. Posada's calaveras (from the 1800's and up to 1913 when he died) became an integral part of the clebration.